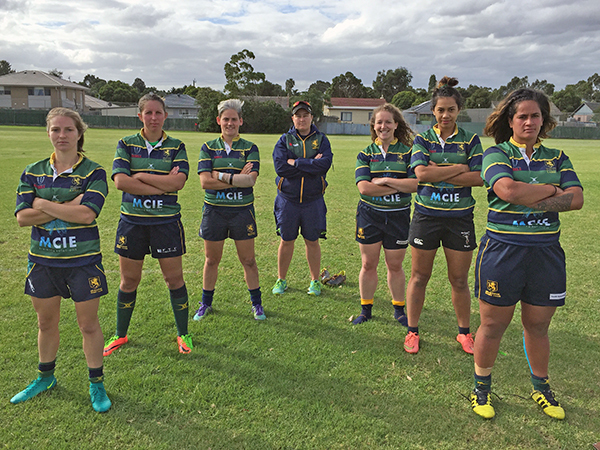 The 2017 Women’s State Team was recently announced and players from the Melbourne Rugby Club have dominated at the selection table. Eight women from the Unicorns have been selected to play for the State in two tournaments. Firstly, at the Southern States Tournament in Wagga Wagga this weekend (April 8-9) and then at the National Championships being played on the Gold Coast, May 11-14. This year Melbourne Rugby Club have several new and returning players who have made the the State team. Annmarie Collins, Gemma Hocart, Georgia Cormick and Oneata Schwalger return to represent Victoria whilst for Katherine Temple this will be her first time representing the State. New players to the Melbourne team have also made the transition to State level including Atasi Lafai, Reni Hicks and Sammi Homewood. These players have been a great addition to the Unicorns’ Women’s team and no doubt for Victoria as well. Along with the returning State players, Alana Thomas returns as Head Coach and has teamed up with Assistant Coach Steven Tia. Both coaches have been impressed with the level of commitment, the improvement and high skill level demonstrated by all the women who have been attending training. This made the selection of the final 24 players from the 40 person squad very tough indeed. Despite Thomas being the Melbourne and State coach, this did not make selection of Unicorn players any easier. If anything it ensured the Melbourne players were under extra scrutiny at all training sessions. Thomas and the Melbourne State players are extremely excited to be representing Victoria and to be flying the Unicorn flag within the team. All the players will be continuing to be work hard with Thomas, not only at Club training and matches, but also in preparation for the National Championships. It’s a huge task ahead with the girls training four times a week as well as playing on Saturdays, which will make the next six weeks very busy.